This topic contains 32 replies, has 8 voices, and was last updated by Billy 2 years, 10 months ago. No orator as Brutus is, I only tell of that I do know and speak right on. Regarding Old Times in Wolverhampton, If I dont know the facts I don’t comment. How many old Wulfrunian’s out there, queued opposite the old Market Hall in Cheapside to get an eightpenny ticket for the “Gods”to see the likes of old Mother Riley or Max Miller at the old Hippodrome. 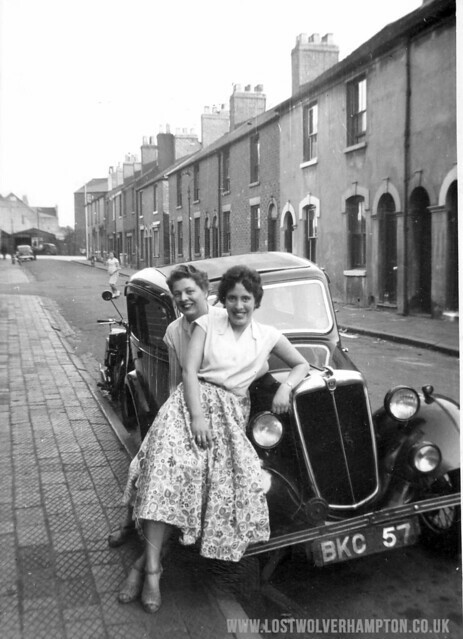 Or stood in Wulfruna Street at the rear of the College of Art,on an early evening in the 1950’s waiting for a No. 3 bus to Fordhouses when in those days, the queue usually stretched to Lichfield passage. Or perhaps opposite alongside the old Polytechic, for the returning bus as it carried on down Stafford Street, via Cannock Road to Bushbury Hill. 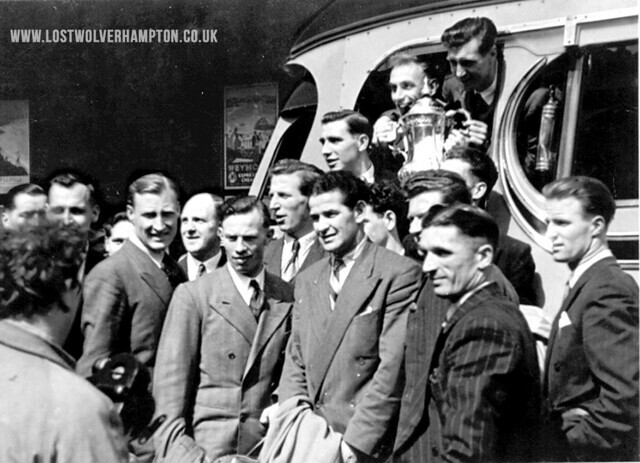 How many got tickets to see “Wolves at Wembley in 1949. Well this forum needs you! I realise perhaps some of my pictures will go back beyond your living memory the images in focus long gone. 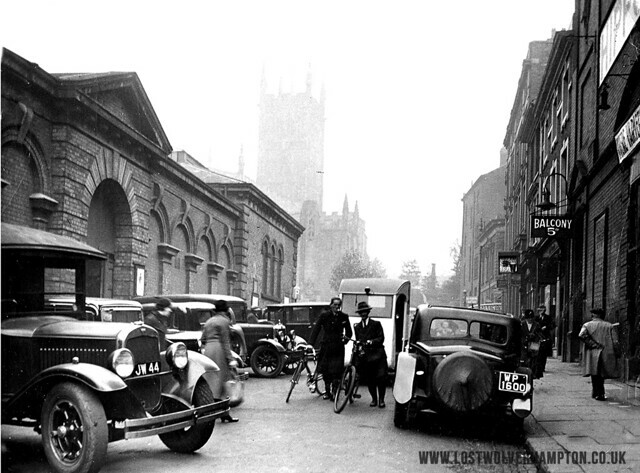 But “Lost Wolverhampton” is just a small part of a bigger picture showing the many changes to Wolverhampton my old town now a city. To join the forum, just register using your email and you will be able to sign up to the site. et voila… you will be on the site and can post. As a fan of old vehicles, I love the first two pictures. The registration numbers in the first picture would be worth quite a lot of money today. 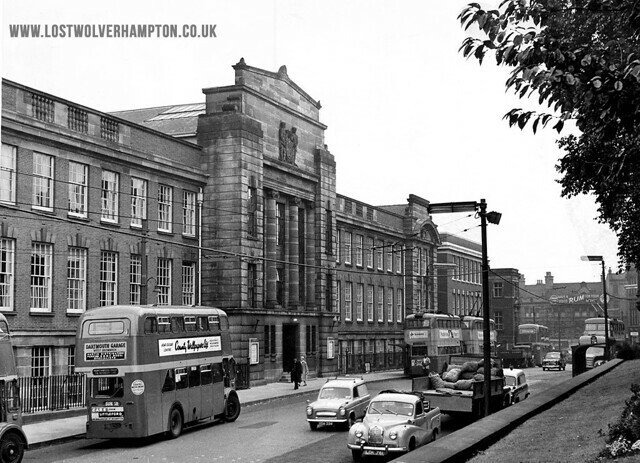 The old Poly was a familiar sight on my way to school every day as we, St Peter’s, were just around the corner. Nice picture Billy, but I think the car is a Morris 8 from somewhere around 1936. There’s one in this picture – if the advert is still there – for £6350! Spot on Tony can’t catch you out can, I think Kathy paid about £150.00 for it then Bargain at that price today. Bill, great mixture of subjects. Cheapside and queuing for the Gods at the Hippodrome. I did that with my Granny, we went many times, up until the nudes appeared, that finished it. The only two big names I can remember was Arthur Lucan and Kitty McShane aka Old Mother Riley and her daughter Kitty, in fact they were husband and wife. The other act was called Big Bill Campbell and the Rocky Mountain boys who sang “Cowboy Songs” not Country and Western but songs made popular by Roy Rogers and Gene Autrey two of the singing cowboys of the Silver Screen. Wulfruna Street and the No. 3 bus. Yes, Bill I remember the queue, do you remember the little sweet shop. Being a student at St. Peters the sweet shop was a regular shop for me to call at. I was in my local the other day and some one was spouting how he was at Wolverhampton University. “Oh you mean the Tech. ” I can never think of it as the Polytechnic or as Wolverhampton University. I must add I was never clever enough to attend as a pupil my visits were to the Saturday Night Dances. The Wolves and the Cup. I was eight at the time and all I can remember is going up to Cheapside when they came back and were given a Civic Reception. Nice one as usual George Your a Star!. Oh that Morris 8,after father got fed up of motorbikes & sidecars,our first car was a morris 8, then quickly on to a Morris 8 series E,which took us all to north Devon,Isle of Wight,and North Wales,amongst other places.Later on a standard 8, Austin Cambridge (which I passed my test in) Mini, Princess 1100 and many more. 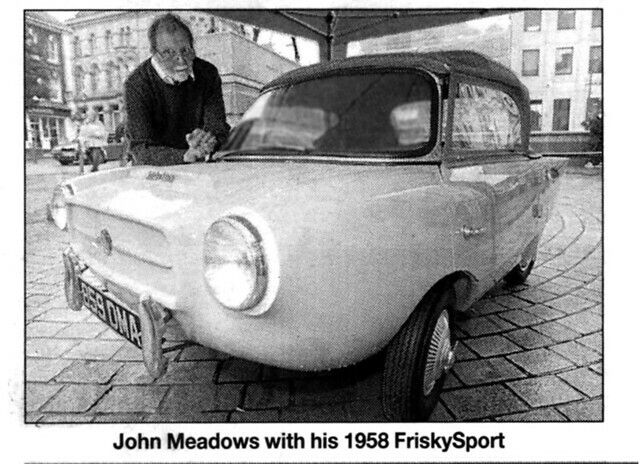 My first car was a Friskysport,1959 Earlscourt show car, boy did it shift,How I wish I still had it! I chopped it in later on for a “proper car”,(wait for it) a Commer Cob van. Nice one – Did henry Meadows make the engines for the Frisky Miff I’m not sure. But thats the first vehicle I ever owned on the right at the side of St Peter’s Gardens, it was an Austin pick-up and I’m transferring potatoes from one of H.Goodall’s lorries in the summer of 1959. Henry Meadows did not produce engines for the Frisky, they were licensed to produce the glass fibre bodies and afterwards assemble them. The engines were made by Villiers and were of the 2 stroke variety. smaller one was of 195cc and if you were rich, you had the 250cc twin engine.The glass fibre bodies were of a very poor quality, although it must be remebered that this was the infancy of glass fibre car bodies. My Father owned a garage in March End Road Wednesfield and the bodies were sent to us for rectification.The car was not a success and production only lasted for about a year or so. I have not seen a Frisky since although I suspect ther must be a few somewwhhere. I worked at Frisky for a while, as far as I know there was no connection with Meadows other than that the factory was part of the Meadows complex. I think the company was owned by a Mr Wright who had a small engineering company near the racecourse in Dunstall Rd. The engines were indeed by Villiers with the occasional Excelsior fitted if requested. The bodies were made on site. Just before I left the company there was a change in the front suspension system which was causing major problems, the suspension arm was breaking under pressure. Not sure how they overcame the problem, sad that there seem to be no Friskies in preservation. I thought there was some association with the Frisky and Henry Meadows. But even if I don’t know certain things for a fact. I like to have a guess somtime and hope someone will out there will add a little bit extra to the thread. It has worked well here we have a new contributor. Please munchkins6 let us know a little more about yourself on our introduce yourself slot on the Forum, and lets get aquainted. Nice to see the nom-de-plume of our friend in New Zealand again. I wish I could refer to him by his christian name. I know he is a huge follower of the Wolves from his past posts so I just wondered if he or anyone, has any memories of this place. Writing this while you are all fast asleep, 15.45pm here and 27c outside. It was strange timing that the Frisky story came up as not long ago I visited the local transport museum in Auckland and they were restoring a three wheel car in the workshop, I was convinced it was a Frisky at first but was assured by the guy working on it that it was a one off special made over here. The old Wolves Club does bring back memories, I was not a frequent visitor there but, if my fading memory is right there was the occasional 5 a side game played there. Hello Billy, Our friend Kiwi is quite right about Frisky cars, they were purchased by the Wright Brothers (not The aviators!) who ran a haulage business in Park Lane. There is apparently around 60 odd of these vehicle still surviving, a register for these vehicles has been compiled by John Meadows who is the grandson of Henry Meadowes. There is quite a lot of information on Wikipedia about Frisky cars, well wortha look. The register is interesting news John, have you any idea how to get hold of the list?. You asked if anyone had memories of the old Wolves Club, Billy. I remember it well. A friend used to run the Monday night discos there in the early 1970’s. It was also the place where I met my wife some 42 years ago – and her a “baggies” supporter!! Match days are fun in our house! I can understand that Tony I suppose she has the car and you have to catch the Bus. you might find a vehicle you built! As a point of interest, this picture appeared in the Express & Star tonight in a feature about Black Country Echoes. The painting in question David is one of “Broadmeadow” The site of the original Racecourse. 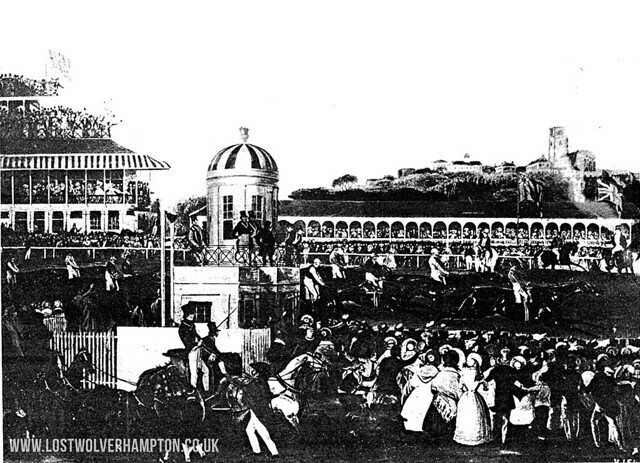 The area of the Old Racecourse in the times of Elizabeth was known as Hungry Leas, on the account of it being mostly bog and marshland, and during the race meetings held there in the 18 century there was many a report of the course being waterlogged and flooded. Horse race meetings were held on this area of broad meadow’s on the west side of town from the 1820’s until, in 1878 the Duke of Cleveland, the owner of this land. Decided not to renew the lease and the West Park was opened on this site in 1881. But the town wasn’t to be denied a racecourse for very long, because a decade later on land a mile or so away in the ownership of Alexander Staveley Hill. The newly formed Dunstall Park Company, opened their new race course. For example The original course – built for flat and National Hunt fixtures and of course, its own railway station Dunstall Park. The racecourse was itself , was within a hairs breadth of closing, just a few years ago. But we in the West Midlands can be very pleased with the fact that we still have a racecourse at Dunstall Park with its all- weather surface still providing regular meetings throughout the year. There is a Frisky in the Black Country Living Museum at Dudley that they have been restoring for the last couple of years. 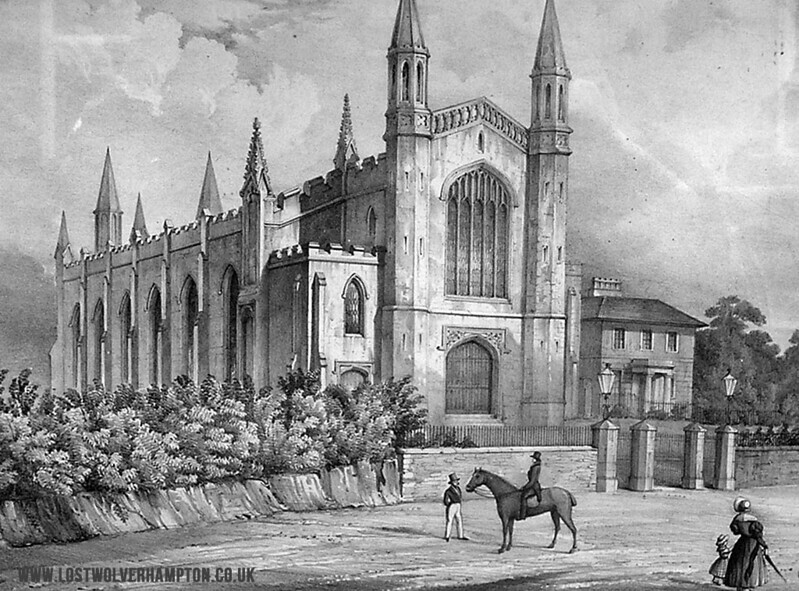 This site also as much more information about Wolverhampton’s history. Yes funny enough I was at the Black Country Museum a couple of weeks ago and noticed the solitary “Frisky”and what a concise history there is of it on Bev Parkers website as with every thing else. I am sorry I don’t know your first name but thank you for joining us on the forum good to have some new blood.on board. I Sat at the traffic lights at the junction of Ettingshall Road and Bilston Road about to emerge from Dixon Street and there facing me was the long established works of “Steelway” The firm that put “Safety First” on the agenda many years ago in Wolverhampton. It was great to see this age old works continuing to prosper in our town, and it brought to mind this little story. 1934 saw the launch of the Steelway pedestrian guard rail. After long and careful experiment with the co-operation and assistance of the Chief Constable of Wolverhampton and Wolverhampton’s Borough Engineer & Surveyor, the first pedestrian safety barrier was successfully installed at a busy junction in Wolverhampton. This was due to an accident involving a boy and the barriers were installed to prevent pedestrians walking off a blind corner into the path of motorists. Following on from this success, Steelway manufactured London’s first safety barriers at Britannia Crossing, Camden Town. These were inaugurated on 19th March 1935 by Mr Hore-Belisha, Minster of Transport. They also manufactured the sockets and detachable uprights to form crowd control barriers for the 1937 coronation of King George VI – parts of which were used again for the coronation of Queen Elizabeth II in 1953. 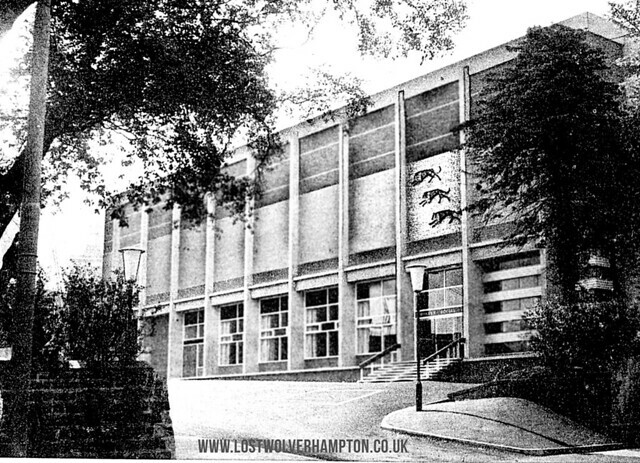 Marian Trainer on our Lost Wolverhampton Facebook Group recalls her memories of St Paul’s Church Penn Road. Most of the money being found by Rev.W.Dalton, first incumbent. He also built the vicarage next door at a cost of £2,000 and his wife presented the church with its organ. St Paul’s was the first Free Church to be built in the town. I’m researching the family tree of the Austins/Austin family, with one particular John Austins owning 25 houses on Inkerman Street between the 1840’s and 1890’s. Would anyone know where I could get some images of Inkerman Street during Victorian times, or another street that may have looked similar? 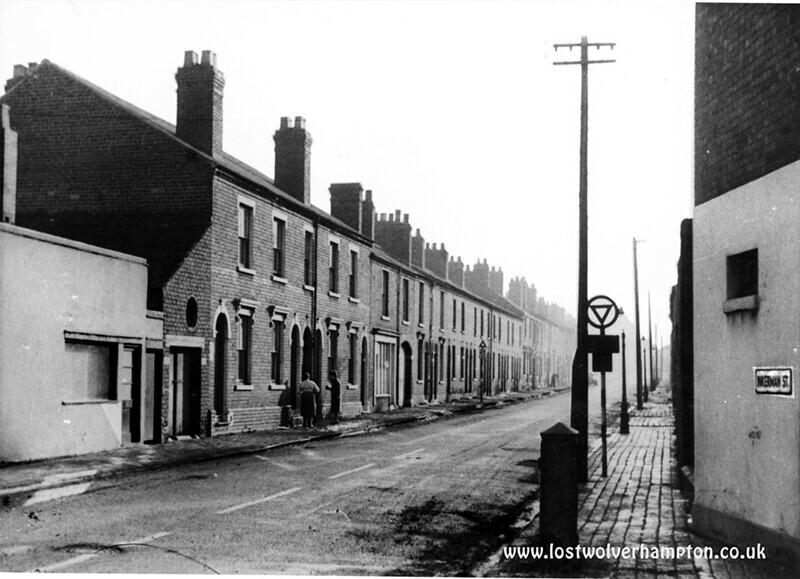 Inkerman Street 1960’s Phil wouldn’t have changed much in appearance since it was cut.